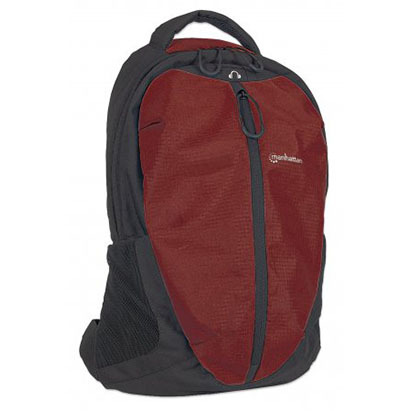 Heavy-Duty, Top-Loading, Four-Compartment, Woven Nylon Backpack for Most Laptop Computers Up To 15.6"
With lots of cargo space, heavy-duty construction and rugged looks, the Zippack backpack from Manhattan is perfectly at home on campus, in the boardroom, flying across continents or hiking the great outdoors. Designed to go wherever and whenever you do, the exterior of this bag is made from water-resistant, heavy-duty nylon and reinforced with a thick, synthetic suede patch on the bottom for extra durability. 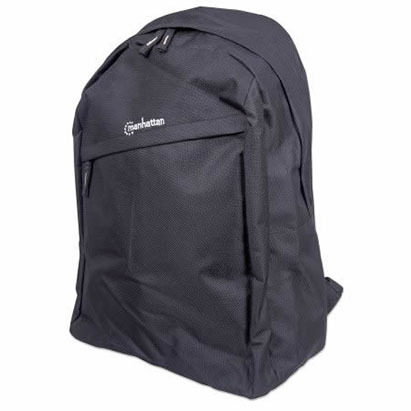 It features three main cargo compartments: a spacious, top-loading main cargo compartment with a padded computer sleeve for laptops up to 15.6", a rear-facing compartment (with signature zip enclosure) that offers quick and easy access to mobile devices or other medium-sized items, and a small, top-mounted compartment for pens, business cards and more. 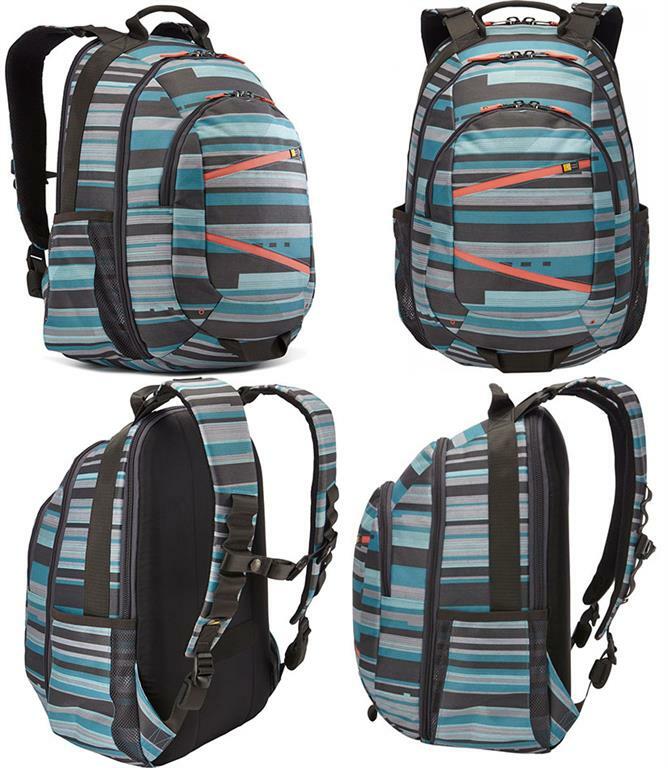 If all that internal space is not enough, the Zippack has two external pockets for water bottles, digital cameras or other quick-access items, as well as reinforced carabiner patches and nylon straps for attaching things to the outside. 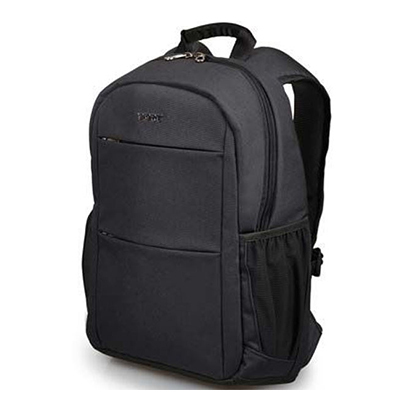 • Padded inner sleeve fits and protects widescreen laptop computers up to 15.6"
* Always measure notebook computer exterior to determine compatibility. All bag dimensions are approximate and may vary slightly. 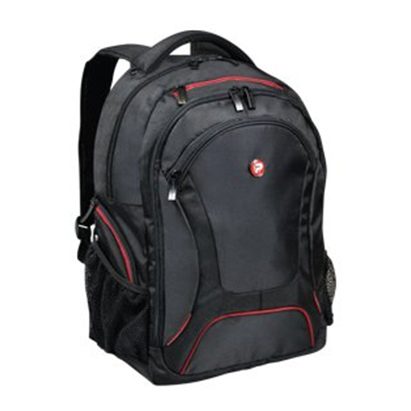 It features three main cargo compartments: a spacious, top-loading main cargo compartment with a padded computer sleeve for laptops up to 15.6", a rear-facing compartment (with signature zip enclosure) that offers quick and easy access to mobile devices or other medium-sized items, and a small, top-mounted compartment for pens, business cards and more. 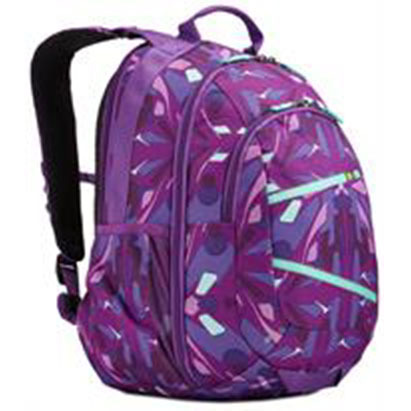 If all that internal space is not enough, the Zippack has two external pockets for water bottles, digital cameras or other quick-access items, as well as reinforced carabiner patches and nylon straps for attaching things to the outside. 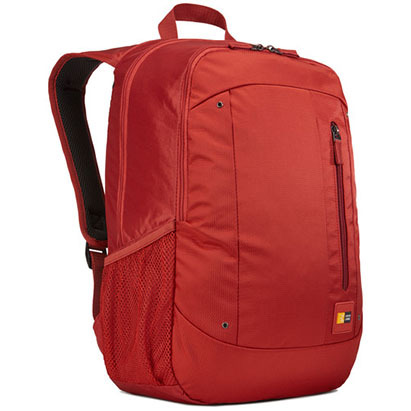 Ferrari Scuderia Pit Stop On Track Collection Stylish Universal Backpack – Suitable for Laptops up to 15.6 inch , High Quality Design , Nylon and PU Carbon Finish , Adjustable Padded Shoulder Straps , Back panel for Optimal Comfort , Multiple Storage Compartments , Contains side pockets and zipper closure- Red , Retail Box, Limited 1Year Warranty. 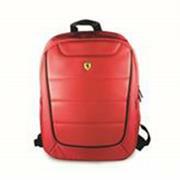 The Officially Licensed Ferrari Scuderia Pit Stop On Track Collection Stylish Universal Backpack not only looks the part, but has plenty of space and great padded protection for your Laptop or Tablet PC against bumps and scratches and with multiple storage compartments and side pockets and zipper closure it is suitable for college, school and everyday commuters as well travelling and hiking The main compartment includes a padded sleeve for laptop or tablet , two pocket inside for your cell phone, charger and pens and two side pockets and adjustable padded shoulder straps and back panel for optimal comfort . 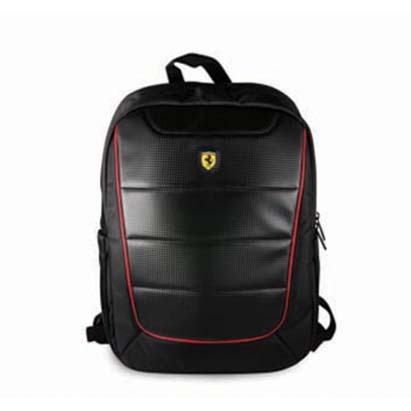 Being the official product of the Ferrari home, this Ferrari backpack was assembled under the license of the famous automaker, and to the highest quality standards. 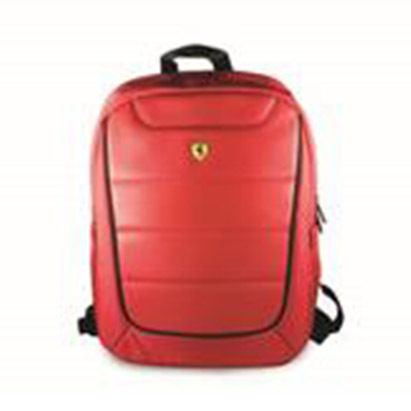 From the seams to the pockets and light fabric - this laptop backpack from Ferrari will please the sports car enthusiast and absolutely everyone. 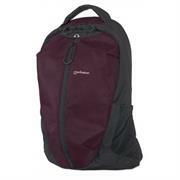 • Ideal choice college, school and everyday commuters and Travelling. 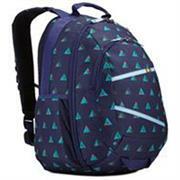 A backpack designed to carry and protect your 17,3'' laptop and tablet within dedicated compartments and pocket. 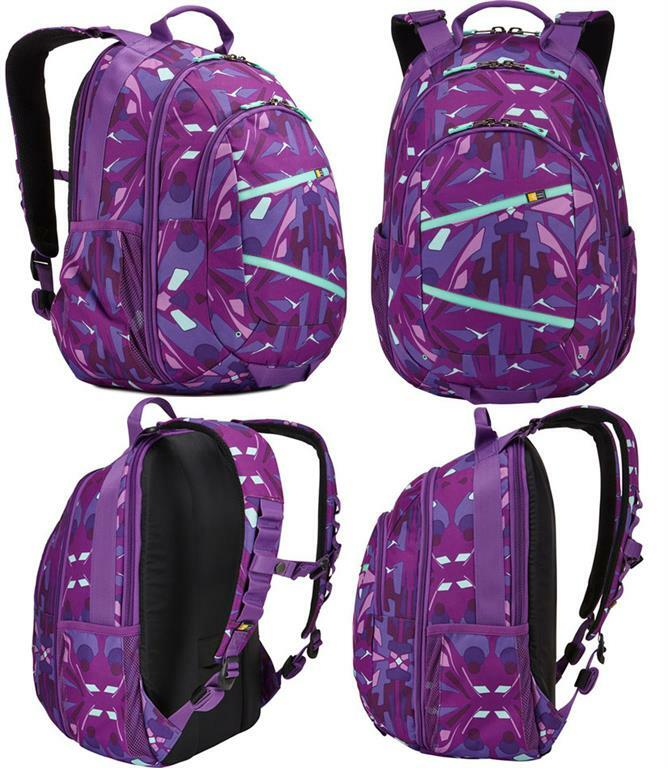 The large front pocket and two front zip pockets will allow an easy access to the items you need the most (phone, pens, business cards, chargers etc...) The side mesh pockets are designed to welcome water bottles or any other accessories with a quick access. 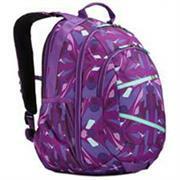 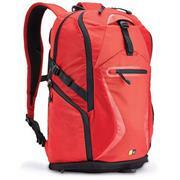 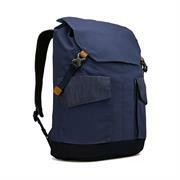 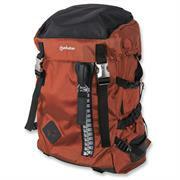 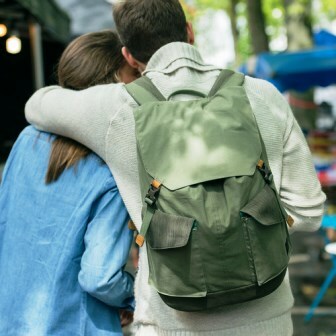 Shoulder straps and back are strengthened to have all the necessary comfort when you carry your belongings. The bottom of the bag is reinforced to offer a better protection. The Rain Cover with reflective tape will prevent your bag to get wet. 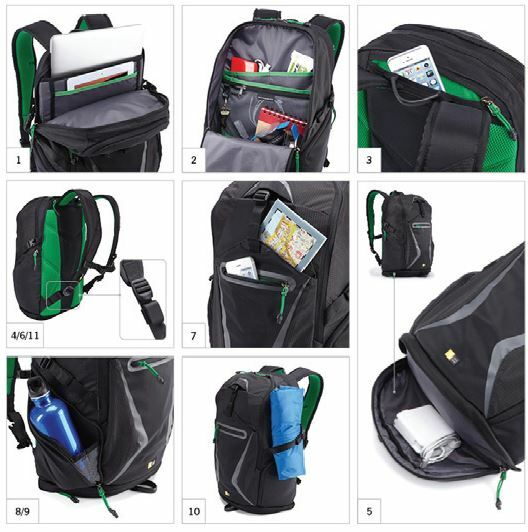 • Padded laptop compartment with dedicated pocket for tablet up to 10,1"
Port Sydney 15.6" Urban Backpack Design metallic logo & pullersPadded laptop & tablet compartments 2 handy side mesh pockets Padded back and shoulders Comfortable handle 2 front pocket with organizer 2 Internal pockets, Retail Packaging, 1 year Limited Warranty. 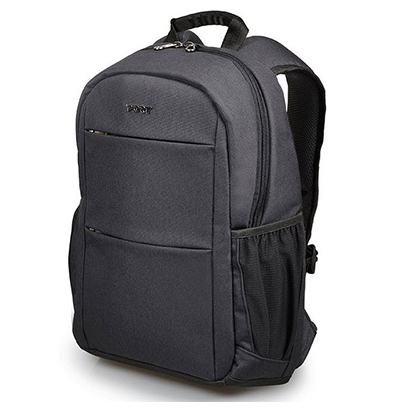 Port Sydney 13" to 14" Urban BackpackDesign metallic logo & pullers Padded laptop & tablet compartments 2 handy side mesh pockets Padded back and shoulders Comfortable handle 2 front pocket with organizer 2 Internal pockets, Retail Packaging, 1 year Limited Warranty. 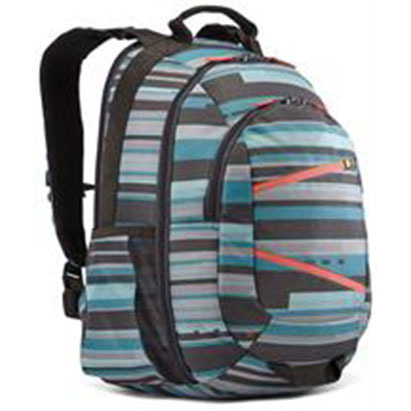 Lightweight Top-Loading, Two-Compartment Ripstop Nylon Backpack for Most Laptop Computers Up To 15.6"
Perfect for students, travellers or executives, the Manhattan Airpack gives you the carrying capacity of a much bigger, heavier bag in a lightweight, everyday design. 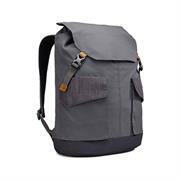 Ready to go wherever and whenever you are, this bag sheds unnecessary add-ons in favour of simplicity, comfort and versatility. The exterior of this bag is made from water-resistant, ripstop nylon and heavy-duty polyester for durability and dependability. 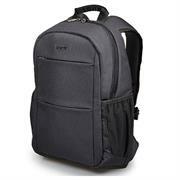 Its spacious, top-loading main cargo compartment sports a padded computer sleeve that can accommodate laptop computers up to 15.6". 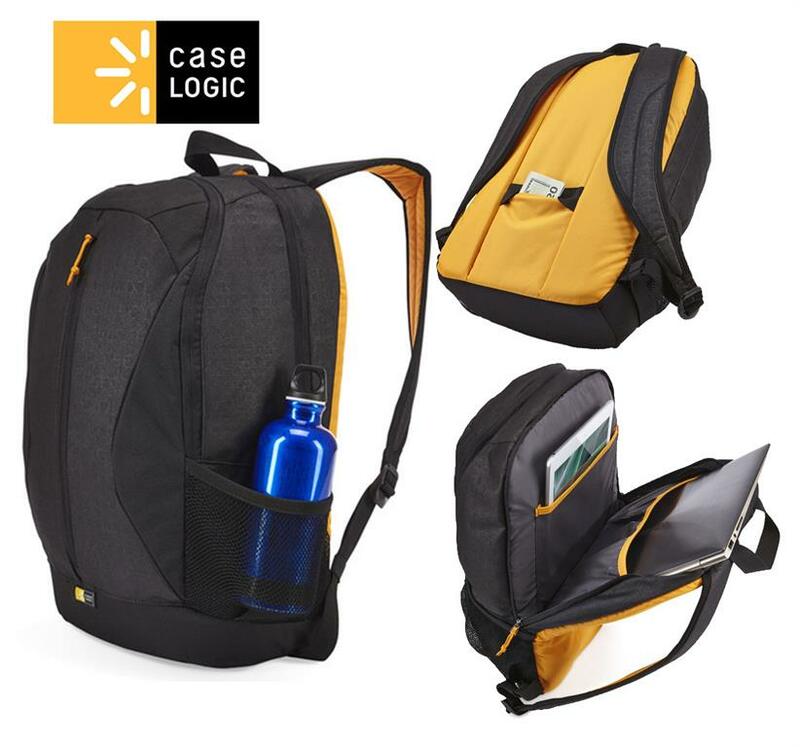 An additional, rear-facing compartment offers you quick and easy access to a tablet, MP3 player or other mobile devices, as well as pens, business cards, documents and more. 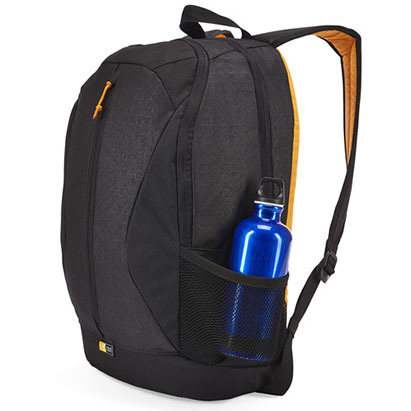 Plus, the Airpack has two external mesh pockets for water bottles or other small items. 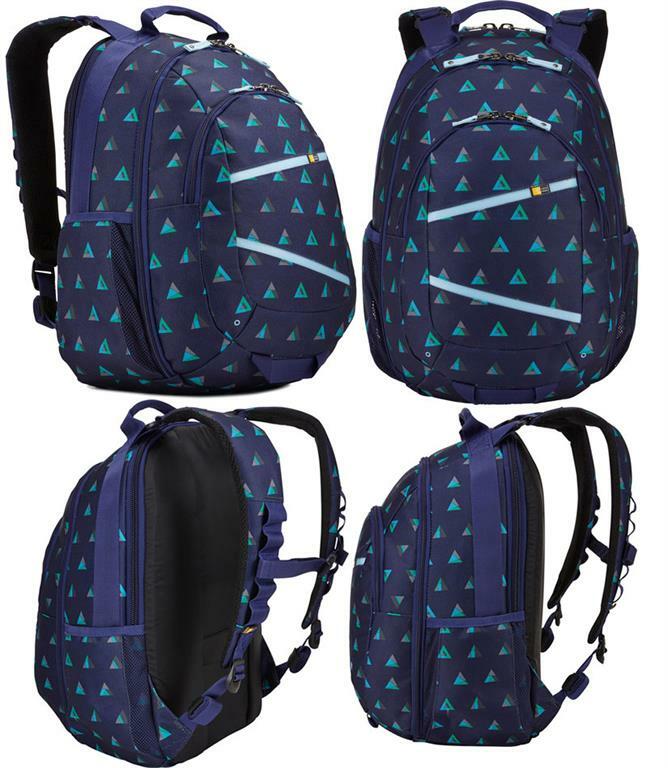 • Two separate main cargo compartments. 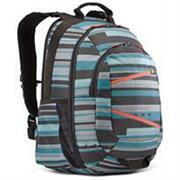 * Always measure notebook computer exterior to determine compatibility. All bag dimensions are approximate and may slightly vary. 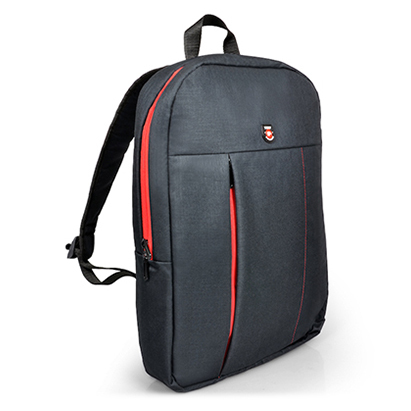 Ferrari Scuderia Pit Stop On Track Collection Stylish Universal Tablet Bag - Fits all Tablets PC’s and e-Readers up to 10 inch, High Quality Design, Nylon and PU Carbon Finish, Adjustable Nylon Shoulder Strap - Black and Red Piping, Retail Box, Limited 1Year Warranty. The Officially Licensed Ferrari Scuderia Pit Stop On Track Collection Stylish Universal Tablet Bag not only looks the part, but has great padded protection for your Tablet PC or e-Reader up to 10 inch against bumps and scratches , It is suitable for college, school and everyday commuters as well travelling and hiking The main compartment is padded to protect Tablet or E-reader and comes with an adjustable Nylon shoulder strap for optimal comfort . 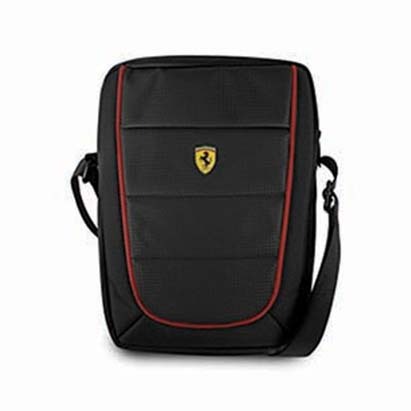 Being the official product of the Ferrari home, this Ferrari Stylish Universal Tablet Bag was assembled under the license of the famous automaker, and to the highest quality standards. 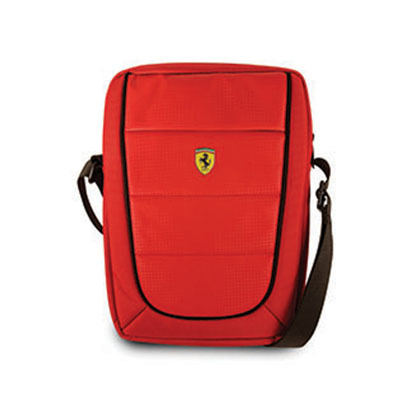 From the seams to the padding and light fabric - this Universal Tablet Bag from Ferrari will please the sports car enthusiast and absolutely everyone. • Ferrari Scuderia FESH10BK Stylish Universal Tablet Bag with its unique and casual design. Ferrari Scuderia Pit Stop On Track Collection Stylish Universal Tablet Bag - Fits all Tablets PC’s and e-Readers up to 10 inch, High Quality Design, Nylon and PU Carbon Finish, Adjustable Nylon Shoulder Strap, Red and Black Piping, Retail Box, Limited 1Year Warranty. • Ferrari Scuderia FESH10RE Stylish Universal Tablet Bag with its unique and casual design. 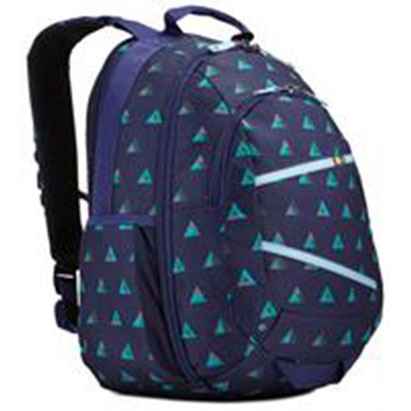 Portland Backpack is a backpack with special compartment for your notebook and/or hybrid computer. 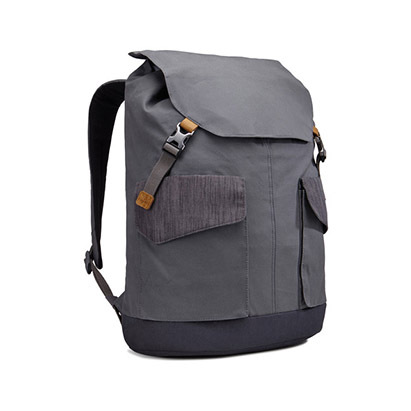 Its compact and light design was developed by our designers in our creative studio in Paris.Portland has a padded interior compartment, secured with Velcro to provide optimal protection for your laptop. 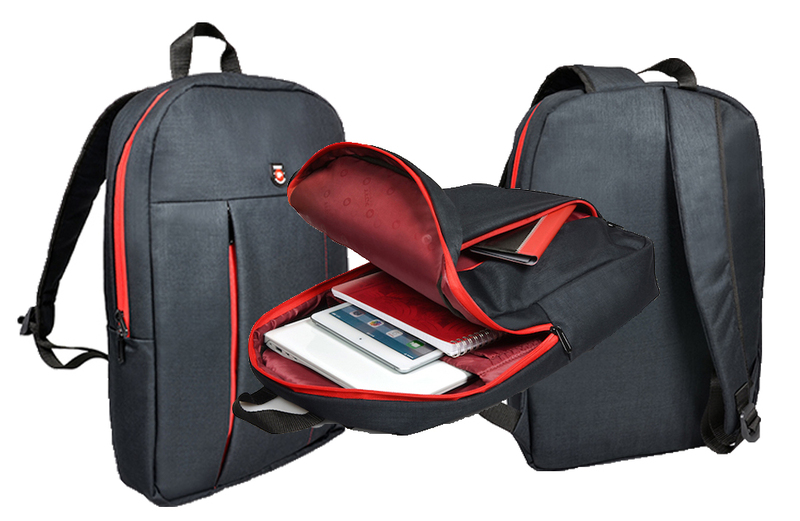 There is a compartment for tablets up to 10.1", as well as a compartment for storing your documents. 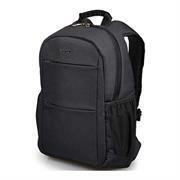 The Manhattan Knappack is designed as a lightweight, convenient and affordable carrier for your laptop computer. Its main top-loading cargo compartment features a padded inner sleeve for a laptop computer up to 15.6", and offers ample space for books, clothing and other items. It also has an outer carryall pocket that is ideally suited for pens, business cards and other smaller items, as well as an elastic mesh side pocket for carrying a water bottle or other small cargo. The exterior of this bag is made from 600D PVC for durability and dependability, and it has padded, adjustable shoulder straps for maximum comfort. •Main top-loading compartment features inner sleeve for widescreen laptop computers up to 15.6"